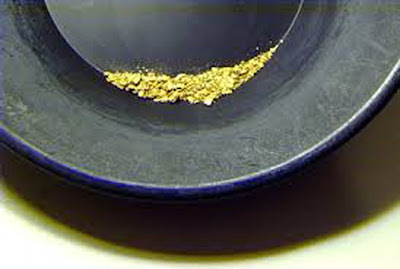 Western Whiskey Gazette (WWG): Speaking of Gold! Last week it was Gold Dust. 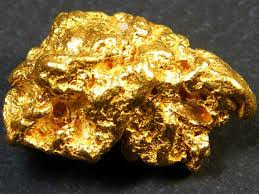 This week, it's Gold Nugget! Look what just crawled out of the woodwork! In my book this has to qualify as one of, if not the top, western back bar! White enamel, gold highlighting, swirled neck, and a gold nugget smack dab in the middle. Spot gold is about $1256~ an ounce today but this nugget is Priceless! History; "The Levy - Treasure Co."
No known embossed bottles documented to exist. No known label only examples documented to exist. 509 - 511 Sacramento St. San Francisco. I seldom say unique, or one of a kind, but I'll hazard to go out on a limb here. This one is a real treasure! Rare and Beautiful, beyond belief.